Karleen Dowden explains the thinking behind a new foundation code on Careers Education, Information, Advice and Guidance (CEIAG) and highlights how schools and colleges are collaborating with employers to enrich their students’ careers education. There is a headteacher I know who cringes at any mention of careers education, information, advice and guidance (CEIAG) as he associates it with one thing: Connexions. He clearly had a bad experience of previous careers providers and it is taking a lot of persuading to get him to listen to the wider importance of CEIAG and the significant changes of recent years. Not so long ago, CEIAG was a local authority (LA) responsibility. It mainly consisted of face-to-face careers guidance to provide young people with information on progression routes with schools throwing in a sprinkling of careers education. However, changes to the economy and society have meant that CEIAG within schools has taken on a whole new meaning. Twenty-first-century life places complex demands on young people for work, so enabling students to become self-confident, skilled and career-ready learners must be an integral part of their education. Opportunities to engage in career-related learning while gaining transferable life-long skills in applied knowledge, critical thinking and communication are fundamental for young people to make the successful transition from education. This huge task requires more than just a commitment from education providers. Numerous professional bodies have identified the fundamental importance of CEIAG and have urged the government to develop further policy in this area. The Chartered Institute of Personnel and Development (CIPD), for instance, says that to enable young people to succeed in the labour market, high-quality careers and information, advice and guidance (IAG) must be facilitated by strong relationships between education and business. The government’s new careers and enterprise company has been set up to do just that. Announced by Education Secretary Nicky Morgan in December, its purpose will be to broker relationships between employers and schools and colleges. The company will also support a network of advisers to create strong local links and help schools and colleges to choose the best careers and enterprise organisations to partner with. Acting on recommendations from Lord Young’s Enterprise for All report, the company will broker a national volunteer network of people coordinated by local enterprise partnerships (LEPs), to work closely with school leaders. There are still many questions to be answered about how such an initiative will be implemented and how the company will ensure that other elements of effective CEIAG, aside from employer engagement, will be supported. ASCL recognises the importance of ensuring that all of the key elements are addressed. In a self-improving system, education providers must work together and be committed to the values and behaviours that will help young people make informed choices about the wide range of progression, learning and work options available to them. Working in partnership with eight organisations, ASCL has developed an evidence-based ‘foundation code’ for CEIAG that sets out the values and behaviours that school and college leaders should adopt. It aims to ensure that young people are given the highest quality careers education, information, advice and guidance. 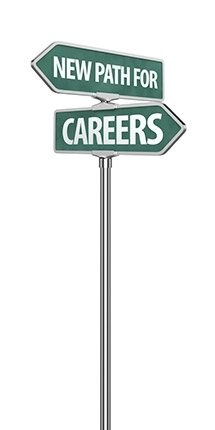 Careers education and advice should be part of the curriculum and be led by a senior leader. Partnerships should be built with businesses to give young people work experience and other opportunities to help better prepare them for work. Young people should be given opportunities to speak to the full range of education and training establishments and employers, so that they can make the best decision on what is right for them. Parents and carers should be encouraged to participate in the decision-making process by inviting them to activities and events such as option evenings and careers fairs. Young people from disadvantaged backgrounds should be given help and support to raise their aspirations, confidence and skills, through access to role models who can provide information and advice, and opportunities for work-related learning. Staff providing careers information and advice should receive regular professional training to keep them up to date with labour market information and qualification pathways. The code is based on the value that meeting the needs of young people should be at the centre of all CEIAG provision, policy and practice in schools, colleges and independent learning providers. It is underpinned by independent research and includes a supporting case for why and how schools should adopt such behaviours. To support the code, we have published a paper – A Case for Adopting the Behaviours in the Foundation Code – outlining the benefits of and the way in which schools, colleges and learning providers can adopt these behaviours and highlighting some of the excellent CEIAG practice already taking place. It includes case studies such as All Saints Catholic High School in the Kirkby area of Merseyside, where the Career Academy programme is raising students’ aspirations and exposing them to the world of work. There are two academy themes – finance and Science, Technology, Engineering and Mathematics (STEM) – and they are supported by several companies. A three-year partnership with Jaguar Land Rover, for example, has enabled students to participate in real-life engineering challenges and receive support from Jaguar mentors in curriculum and enrichment activities. Staff shadowing opportunities will be added to the mix in the near future and the company has also donated a special Freelander 2 vehicle to the school for engineering students to use as a learning aid. As part of its apprenticeship programme for Level 2 Business Administration and IT students, and with support from training partner Asset Training, the school has placed students at The Walton Centre, a NHS trust specialising in neurosciences in Liverpool, and at the local Macmillan Surgery. The school serves one of the most deprived communities in the country and the partnerships and the curriculum the students follow are carefully chosen to give them the strongest chances of gaining employment, as well as building enthusiasm for different career pathways. The school has identified a link between attainment at sixth-form and the additional motivation created by engaging with employers in this creative way. All Saints’s growing reputation for strong employer links has enabled them to attract new businesses to work with and subsequently to expand the provision. Employers are taking an active part in the review process and acting as ‘critical friends’, resulting in students being better placed to secure jobs, apprenticeships and school leaver programmes. Another collaborative approach to CEIAG is the Leicester Impartial Advice and Information Services (LIAISe), bringing together post-16 institutions in the city along with representation from Connexions Leicester City and the 13-19 education support agency Voluntary Education Support Group (VESA), who act as facilitators. An annual LIAISe entitlement is offered to all Leicester city schools, highlighting the activities and inputs that post-16 providers are able to offer for CEIAG. It includes Inset for school staff, attendance at Year 9, 10 and 11 parent and student options events, inputs for assemblies and tutor groups on post-16 options and related topics, such as finance. Schools access it through VESA, which guarantees the impartiality, breadth and depth of the service. VESA then liaises with post-16 providers to agree on the representation at each event. Supporting young people to make informed decisions about progression, learning and work options is fundamentally important and will lead to young people making better-informed choices. ASCL urges schools and colleges to adopt the values and behaviours in the foundation code for their own work on CEIAG.